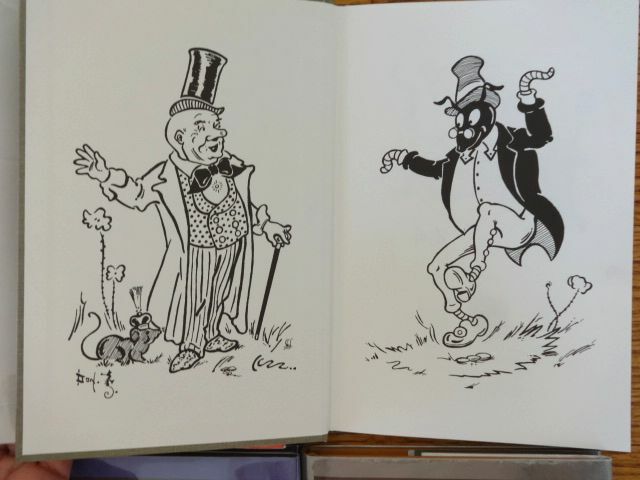 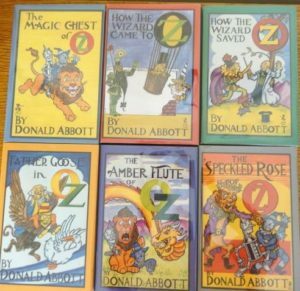 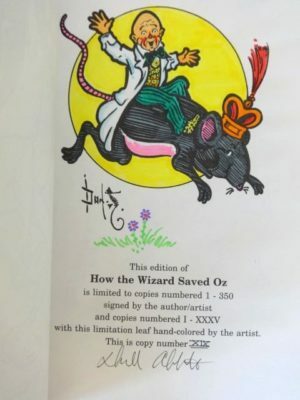 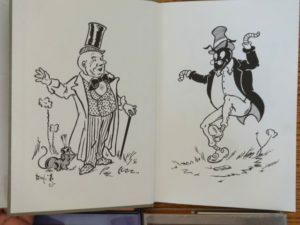 Here’s a beautiful set of Wizard of Oz pastiche books, all limited signed editions written and illustrated by Donald Abbott. 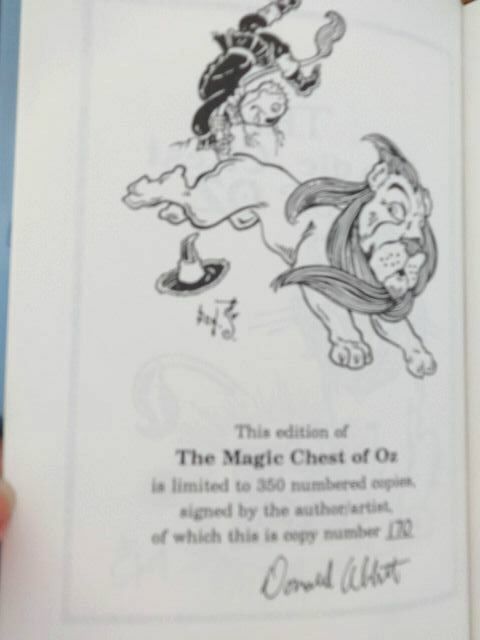 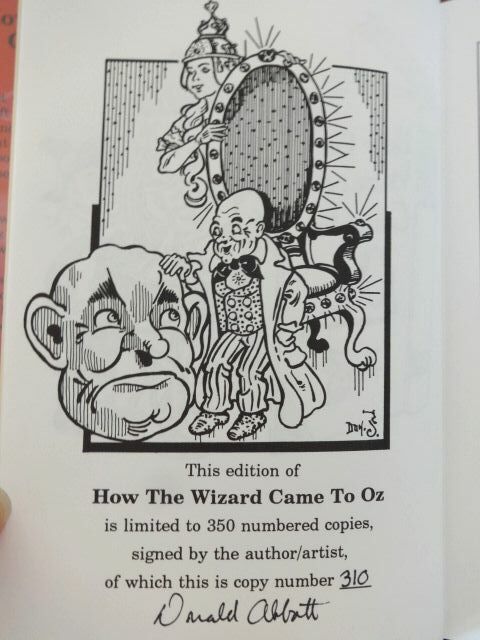 One even has a hand-colored limitation page! All 1st printings, hardcovers in beautiful dust jackets published by the Emerald City Press. 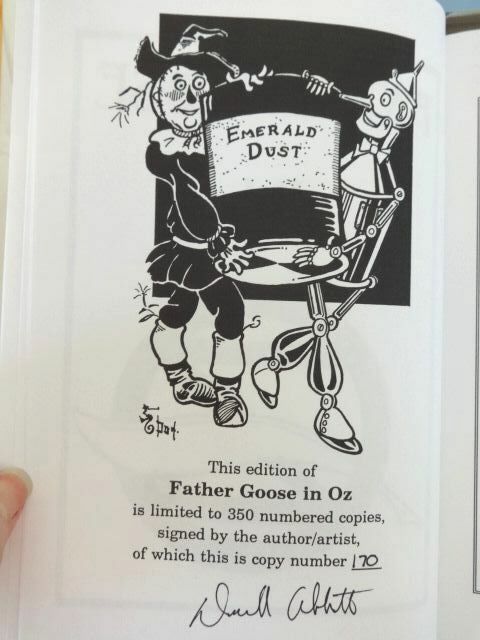 How the Wizard Came to Oz. 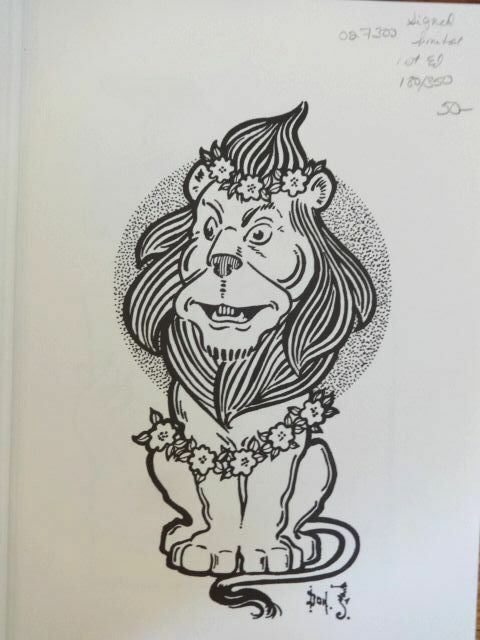 Abbott illustrates in the style of WW Denslow, and even uses “Don” with a seahorse! 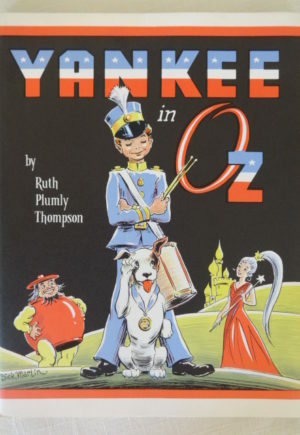 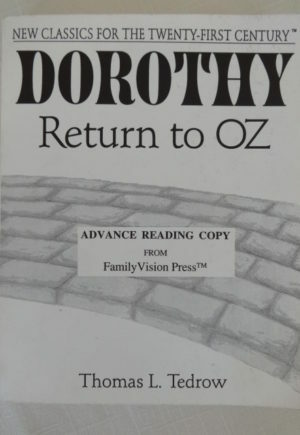 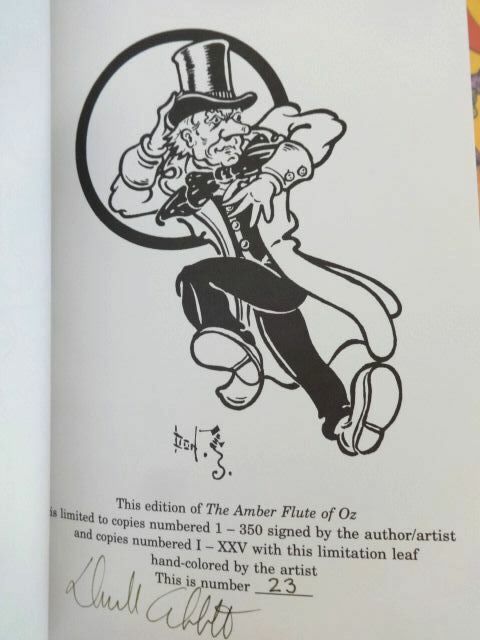 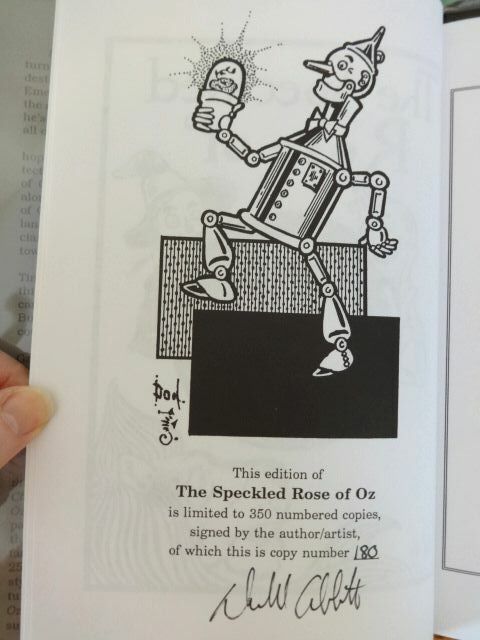 Includes: How the Wizard Came to Oz (1991), The Magic Chest of Oz (1993), Father Goose in Oz (1994), The Speckled Rose of Oz (1995), How the Wizard Saved Oz (1997), and The Amber Flute of Oz (1998). 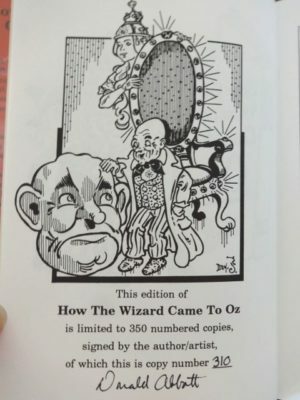 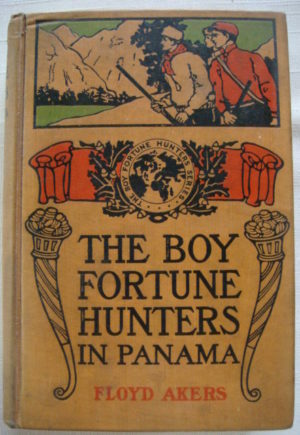 In near fine condition with bookseller’s old prices ($36 to $75 each) and notations penciled in some books.